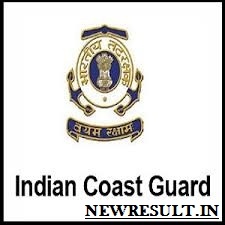 Indian Coast Guard Assistant Commandant (02/2019) – The Indian Coast Guard has released the recruitment notification for various branches of Assistant Commandant (Group ‘A’ Gazetted Officer). The Online Application Form for Indian Coast Guard Assistant Commandant (02/2019) has been released on November 18, 2018. The online application form has been made available at official website i.e www.joinindiancoastguard.gov.in. The last date for filling the application form is November 30, 2018. The recruitment will be done on the basis two stages i.e. Stage 1 and 2. Stage 1 consists of Short Listing of Applications and Preliminary Examination. Stage 2 consists of Final Selection. From this page, candidates will get full information regarding Indian Coast Guard Assistant Commandant (02/2019). Latest: Application Process For Indian Coast Guard Assistant Commandant (02/2019) has been released. 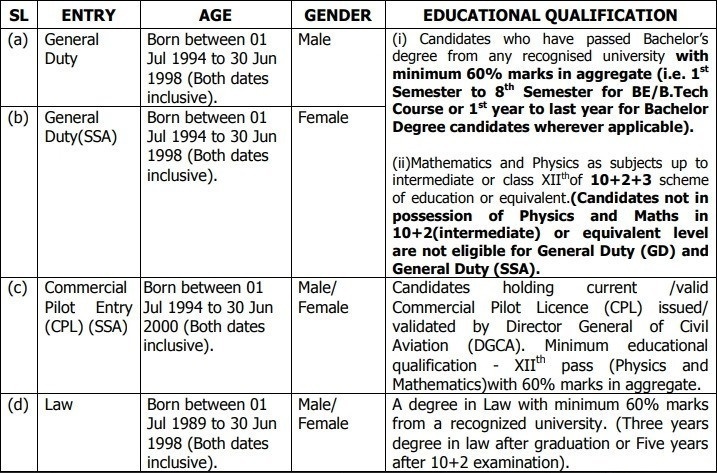 From below candidates can see the Post Details Of Indian Coast Guard Assistant Commandant (02/2019). Asst. Commandant (Law)both Male and Female. After successful submission of the application form, application/registration number will be provided to the candidates. Candidates must note the application number as it will be needed at the time of downloading the admit card. Before filling the application form candidates should first read the eligibility criteria. 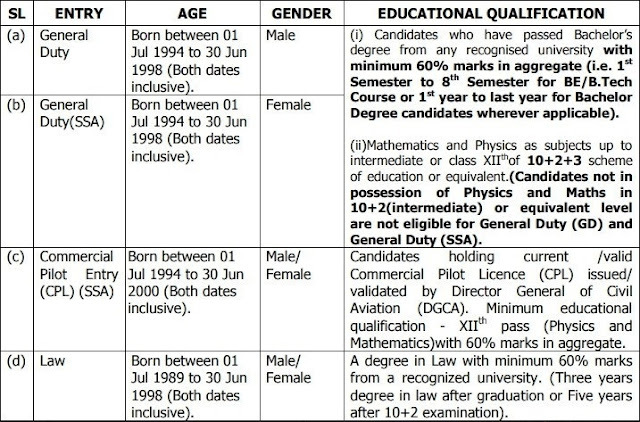 If the candidates are full filling all the eligibility criteria then only those have to apply for the Indian Coast Guard 2019 because if the candidates will not full fill all the eligibility criteria then those will not be considered for the further recruitment process. Nationality- Candidates should hold the Indian Citizenship. Age Relaxation- The candidates belonging to the OBC/SC & ST category will be given upper age relaxation as per Govt. of India rules. Asst Commandant (GD) and Law: 157 cms minimum. Candidates belonging to hilly areas and tribal areas will be given some relaxation in accordance with the Central Govt. regulations. Asst Commandant Women(GD/Law): Minimum Heigh should be 152 cms. Chest: Well, proportionate, minimum expansion 5 cms. Asst Commandant (GD) 6/6 6/9 – Uncorrected without Glass. Asst Commandant GD(Pilot)/ CPL holders (SSA)both (Male and Female) 6/6 in one eye and 6/9 in other correctable to 6/6. Tattoo: Permanent body tattoos are not permitted on any part of the body. However, certain concessions are permitted to candidates belonging to tribal areas/communities as declared by the Govt. of India. For other candidates, permanent body tattoos are only permitted on inner face of forearms i.e. from inside of elbow to the wrist and on the reverse side of palm/back (dorsal) side of the hand. Details in this regard are available on the Coast Guard Recruitment website. Admit Card is the key to enter in the examination hall. Indian Coast Guard Assistant Commandant Admit Card (02/2019) will be issued to those candidates only whose name will be selected for the preliminary examination. For all the candidates it will be mandatory to carry the 02 hard copy of the E-admit card, One valid ID proof (aadhar card, pan card, passport, voter ID card etc.) and 02 Passport size recent photograph with the blue background. on the day of the examination. Indian Coast Guard Admit Card 2018 will contain following details name of the candidate, father name, examination venue address, examination name, examination timing etc. Candidates should reach the allotted center at least 30 minutes prior to starting of test. From below candidates can see the Examination center name and their address. It may be possible that according to the number of applicants appearing in the test centers may be included or it may be excluded. Change of address may also be possible. If any changes regarding the venue will be done it will be updated here on the page. Mumbai – Coast Guard Regional Headquarters (West), Worli Sea Face, PO- Worli Colony, Mumbai – 400 030. Chennai – Coast Guard Store Depot, CG Complex, Near Kalmandapam Police Station, GM Pettai Road, Royapuram, Chennai – 600 013. Kolkata – Coast Guard Regional Headquarters (North East), Synthesis Business Park, 6th floor, Shrachi Building, New Town, Rajarhat, Kolkata – 700 161. Noida, UP – Coast Guard Selection Board, A-1, Sector-24, Opposite HCL Technologies Ltd. District-Gautam Budha Nagar, Noida, UP – 201 301. Preliminary Test- Preliminary Test will consist of Mental Ability Test/ Cognitive Aptitude Test and Picture Perception & Discussion Test (PP&DT). The language of the aptitude test will be only English and the question type will be objective. Final Test- Final Test will consist of Psychological Test, Group Task and Interview (Personality test). In these test candidates presence of mind, the mental ability will be examined. On the day of the preliminary test at the examination venue, candidates need to carry the below-mentioned documents. Prior to the start of the test document verification will be done. Candidates should bring the Original Documents for verification. Original Documents will be returned after the verification. All Certificates of semesters/years mark sheets of BE/B.Tech/Graduation with CPA/CGPA conversion for the percentage of marks from the university. Anyone original Identity proof such as Aadhar card, Pan Card. Passport, Voter ID Card etc. Colored passport size photograph (Not older than 03 months). At first, candidates will be selected on the basis of the application form. Application Shortlisting criteria will be based on a higher percentage of marks in the qualifying examination. The qualifying cut off for a particular branch or center may be increased more than 60% if more applications with higher percentage are received. The candidates whoes application will be shortlisted those will be eligible to appear in the preliminary examination. The candidates who will qualify the PSB will be called for the FSB and the candidates who will qualify final test will be considered as qualified candidates. The candidates who will be called for INA Training those will be finally recruited. At first selection list will be declared by the conducting body after a few days of ending the application form filling process. Secondly, result of the preliminary examination will be released after successful conduction of the examination. Preliminary Examination result will be in a form of pdf. Result will be based on the marks scored by the candidates in the examination. After successful conduction of the final test result for that will be declared in the form of merit list. Merit list will consist of roll number and name of the qualified candidates. The candidate’s basic pay scales for the various ranks will be as per the 7th CPC. For different ranks pay level and Starting Basic Pay will differ. From below candidates can see the detailed salary details for different ranks. Other Benefits- Apart from salary other benefits will be also given to recruited candidates. Other benefits will include Medical Benefits, Government accommodation, 45 days ELand 08 days CL every year with LTC, Insurance cover of 1 crore at a premium of 10000/- per month as Group insurance as per the rules, Contributory Pension Scheme and Gratuity on retirement, Canteen facilities, Loan facilities, after retirement ECHS medical facilities etc.